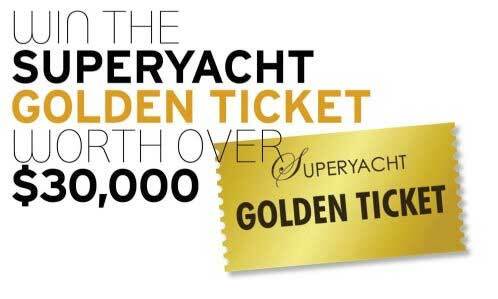 A £12million super yacht was destroyed by a fire that may have been started by a bolt of lightning hitting Poole Quay in Dorset. 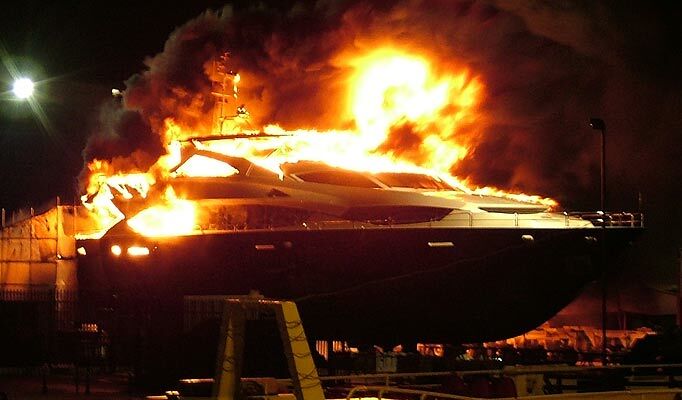 The 112ft long Sunseeker boat was ripped apart by flames that leapt 60ft into the air, lighting up the night sky, as its Mexican billionaire owner ate in a restaurant dockside. Crowds gathered around the inferno that gutted the yacht’s three decks and left just the hull a smouldering wreck. The luxurious craft was all but complete having been built for the tycoon who had just arrived in Britain last week to take delivery. It is understood the 40-year-old businessman was on the dockside to witness the blaze that took place at approximately 11pm on Friday 6 May. A spokesman for Poole lifeboat station based on Poole Quay, said: ‘The owner and three of his crew were here at the time. ‘He was sat in a restaurant on the other side of the quay having a meal when the fire started. The intensity of the fire has made identification of the cause problematic, but police have ruled out foul-play in this case and believe lightning was a more likely cause.